Size : 19.9 x 20.2 mm. Weight : 3.53 grams. Grade : XF (nicer than the image suggests). 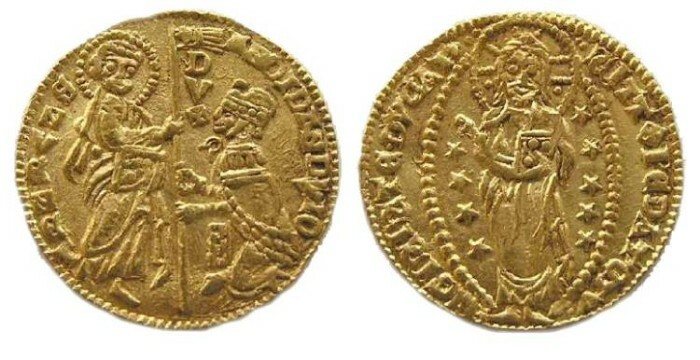 Obverse : The Doge kneeling before St. Mark, with ANDI DANDVLO SN VENET around. Reverse : Standing figure of Christ, surrounded by stars, holding a book of Gospels, his right hand in Benediction, with inscriptions around (I am having trouble reading the letter forms).